We are big fans of national parks, but they are so large that it is difficult to explore them without a tow vehicle, and often the RV camping availability is limited. 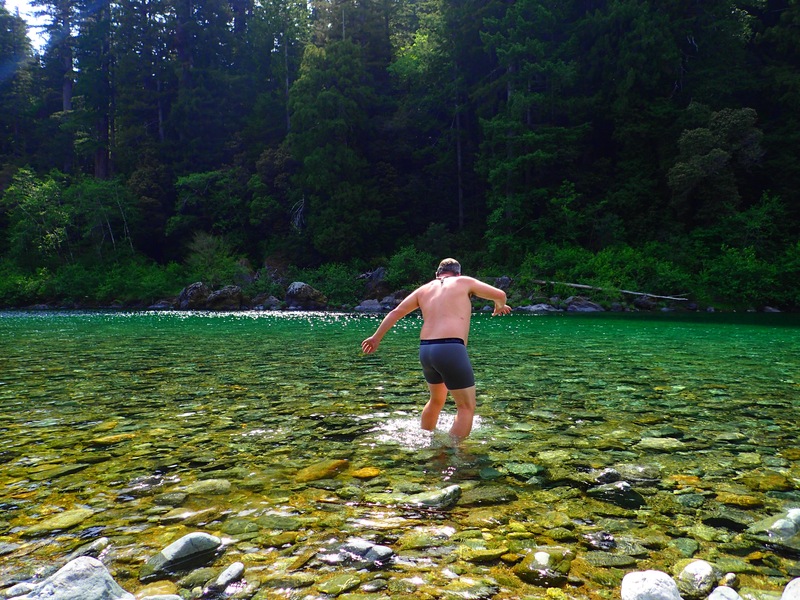 We are big fans of state parks, but the quality varies so much by state. This last weekend we found perhaps the perfect balance: a state park campground within the jointly managed boundaries of a national park. 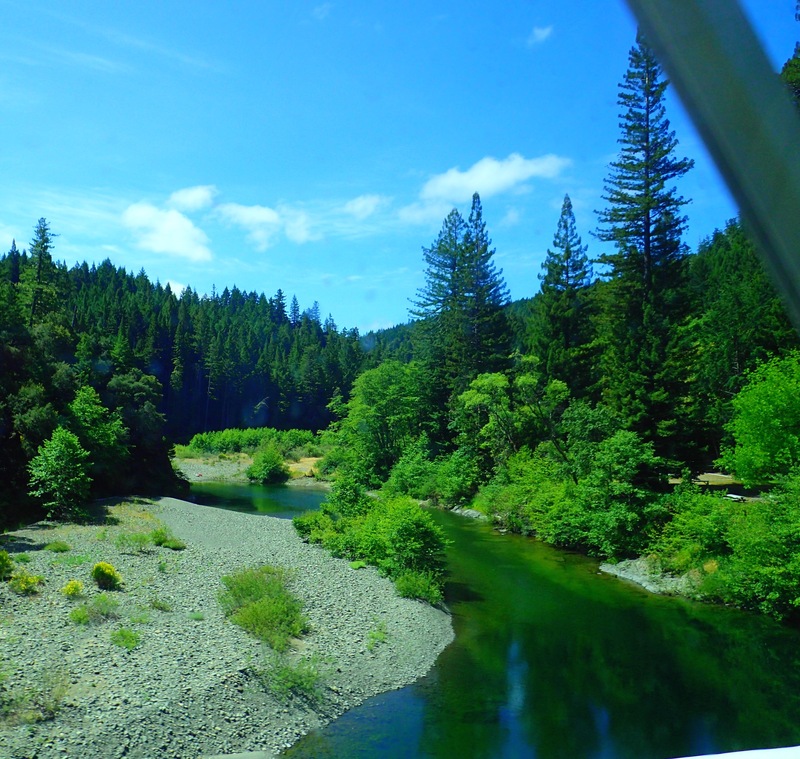 Specifically, Jedediah Smith State Park Campground in the Redwood National and State Parks. This was our final California stop of the year, and oh what a fantastic spot! 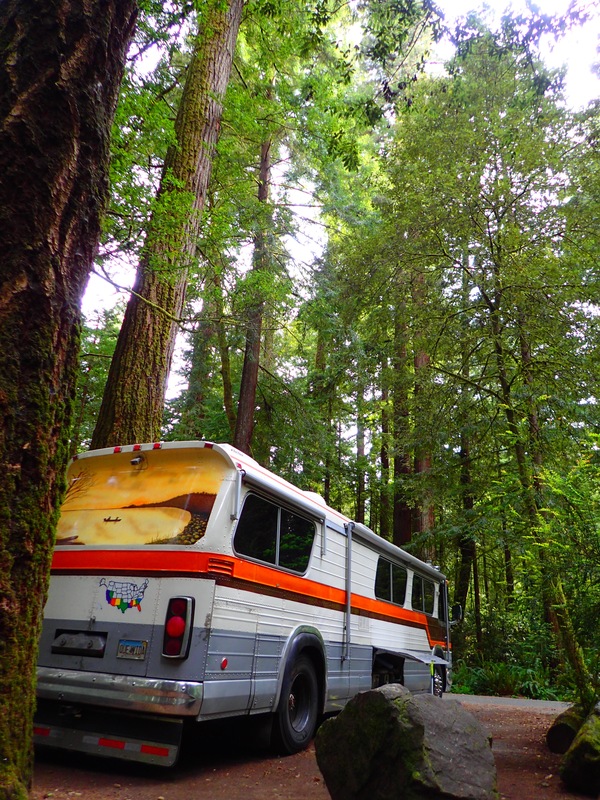 Like many national parks, Redwood has numerous campgrounds but only some of them are suitable for RVs, much less one our size. 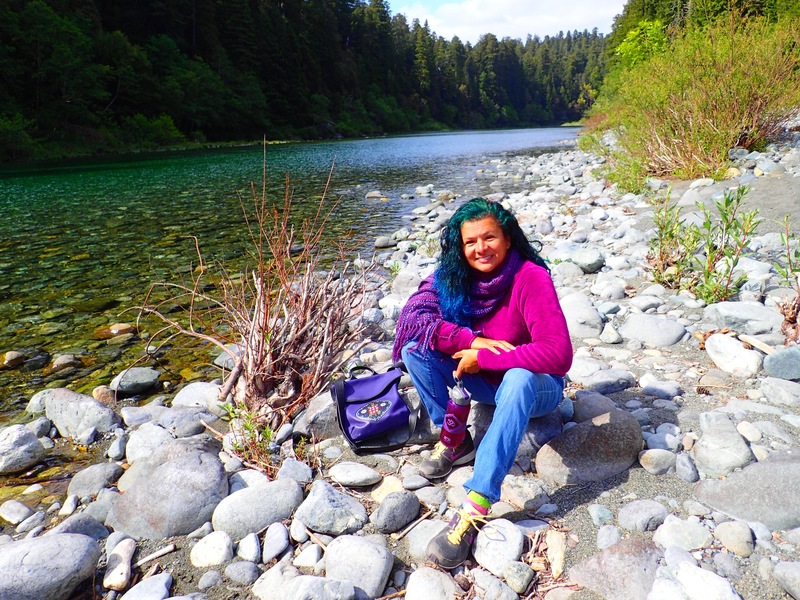 Thus we were mildly worried about the first come, first serve availability here, but when we pulled in after a couple of hours’ pleasant drive up the pacific coast highway, we found a very organized system of camping with color coded sites arranged by maximum size. Joshua Tree, please for the love of humanity, take note and get your stuff together. We were able to secure one of a handful of the largest, 36′ sites, a fantastic spot nestled in among, you guessed it, huge redwood trees. The site was barely long enough, but so much space to either side. Jedediah Smith is, however, all dry camping, which is a bit surprising given the $35 per night cost. Frankly, I am beginning to suspect that this is simply the California price of RV living, unless subsidized by you, the taxpayers, for us retired military people like we benefited from in Monterey. We made do; after charging up, dumping, and filling fresh water in Arcata, our batteries and tanks were ready for a bit more dry camping, particularly now that I have discovered the secret of charging our house batteries without overpowering the Honda generator. Two nights, that’s all we stayed, but given a bit more flexibility in our near term schedule, boy would we stay longer. 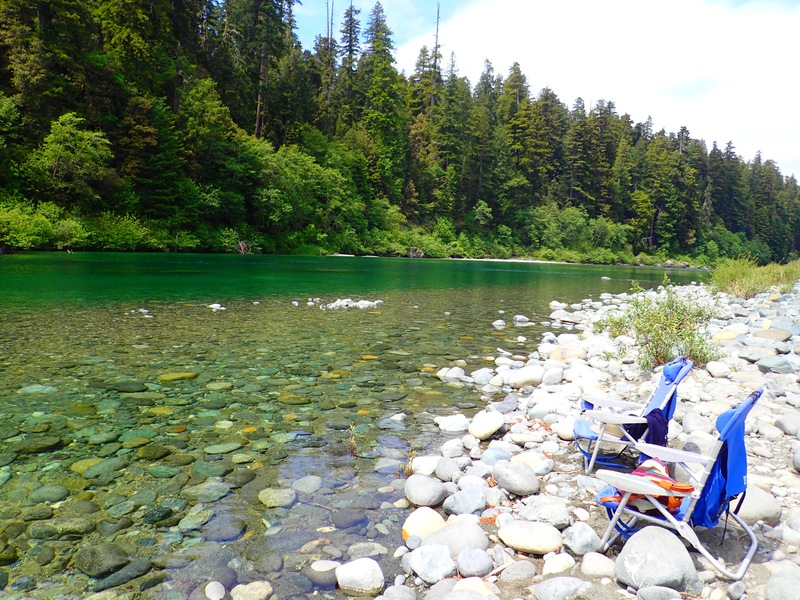 Our site was a couple hundred yards from the Smith River, one of the rocky beaches of which we had pretty much all to ourselves both afternoons of our stay. 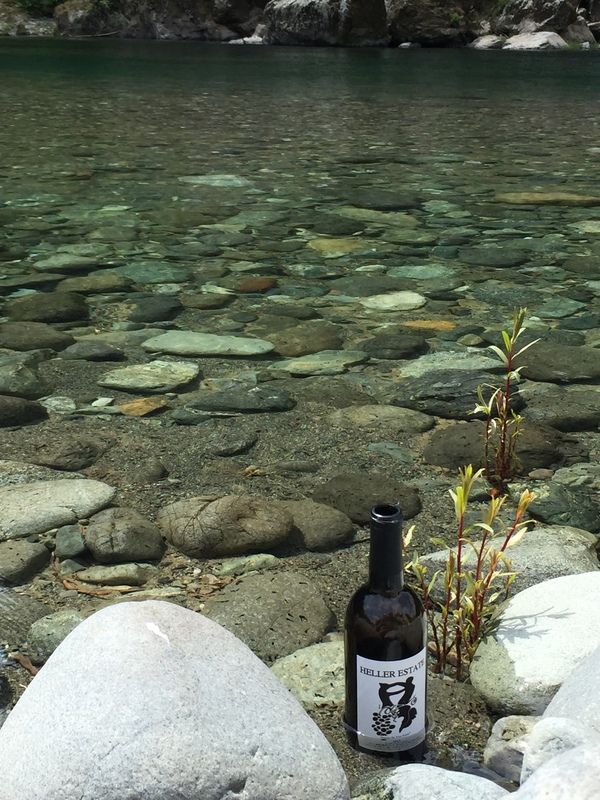 You can hardly find a more pleasant and peaceful day than one spent beside this river, particularly if you have a bottle of California Central Coast wine, kept at ideal temperature by the cool river water. Heller Estate organic red, ideally pared with a beautific river. Returning to our campsite, the large fire pit allowed us to cap off our evening in style. This is the sort of place that will lure us back to Northern California in future years. 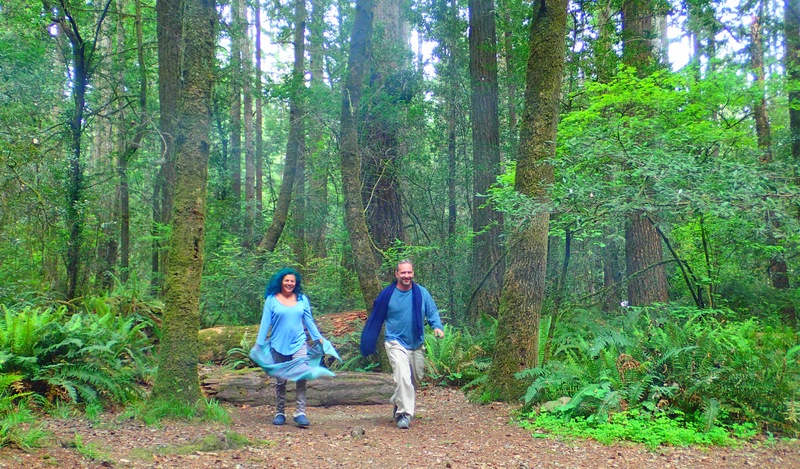 Blue Person Group, returning from “up to no good” in the forest. Pros to this campground: Large and well spaced sites with extensive green growth in an almost Eden-like setting. Highly organized first come first serve check in process with color coded sites. Location next to the beautiful Smith River. The delicate art of salmon surfing, which I learned when I lived among the Yakima tribe. Memories. Cons: As mentioned above, the $35 per night cost for no hook ups, the lack of a dump station (closed for repairs I believe), and the very limited extended Verizon connectivity. It’s so nice to see you two on the road again! California is a beautiful state. I’m glad you’re getting to enjoy it. Yes it is and we look forward to seeing more of it in future years, but for now we just left it and entered Oregon!